Arvind Narang, chief operating officer, Wifag-Polytype India Marketing at Aerosol Expo. Global metal packaging major Mall Herlan, a member of the Wifag Polytype Group, has been a success in India and has managed to get a good foothold in the country, Arvind Narang, chief operating officer, Wifag-Polytype India Marketing said during Aerosol Expo 2019 that was held in Mumbai on 28 February and 1 March. “When we started in India, there was a misconception that a premium brand like Mall Herlan will not be able to succeed here. However, that myth has been shattered as we now have five lines running in India and expect at least one or even two more lines to be installed this year,” said Narang. Mall Herlan manufactures some of the world’s fastest production lines for impact extruded monoblock aerosol cans, bottles and tubes made from aluminum or steel. A production line consists of three modules: the front-end produces the cylinder. In the decoration the lacquers and the print artworks are applied to the can. The backend consists of necking and quality checks, including post-washing. Talking about the market in India, Narang shared that both domestic and global players in the deodorant market have seen robust growth in recent years, which has boosted the demand for aerosol cans. “Whether it is global brands like Unilever or Nivea or local players like Wildstone or Fogg, all have seen robust growth. I think this trend is going to continue and that is why I am very optimistic about the demand for aerosol cans in India,” he said. 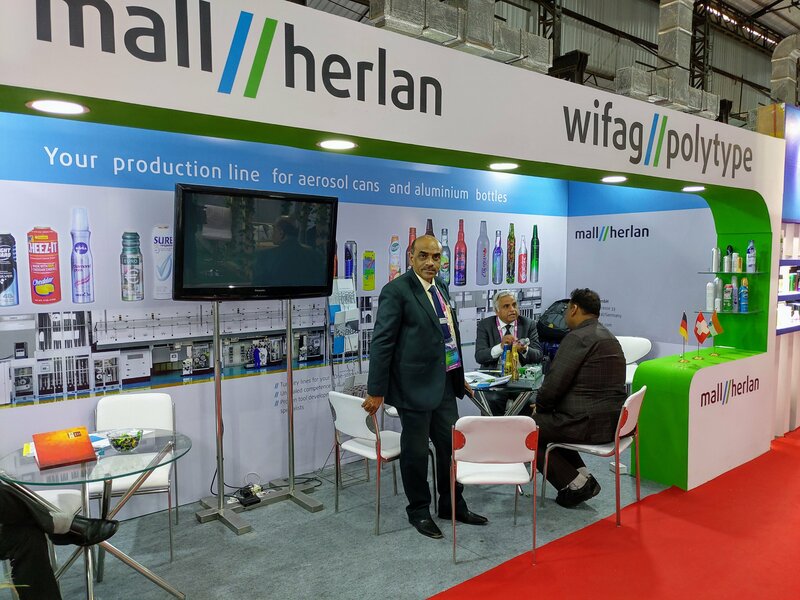 Mall Herlan has been exhibiting at the Aerosol Expo since the last four editions and, according to Narang, it is a great platform for all industry stakeholders to meet. “The quality of visitors is excellent, and I will recommend all industry people to visit this expo,” Narang concluded.